The Montecristo No. 4 is a classic old Cuban size that is very popular amongst European and American smokers alike. This little firecracker is packed rock solid, has a very smooth draw and burns very slowly, making it the perfect companion for that first eye-opening cup of fresh brewed java in the morning. The Montecristo No. 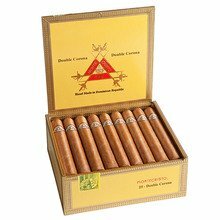 4 is housed in the classic yellow dress box loaded with 20 cigars. Great cigar to finish the night. Velvet smooth and perfect with a glass of bourbon. I have another box of these getting ripe right now. Super mellow but for the price it's a gotta have. It flavor profile is simple but it's very consistent. I always keep a couple in hand for friends to try who don't smoke. Totally disappointed this time. I've smoked 14 of 20 and all burned badly so far. My humi is right at 70/70 and all of my other Monte cigars (Fer de Lance and White Lable) in my humi are fine. I spent $85 on a terrible batch. And when they burn bad, they taste bad. Althought these were suppose to be natural, they looked more like Maduro with a full bodied taste. Thinking I may have gotten delivered the wrong cigar. Excellent sampler. Promo pricing worked. Shipping was quick. Great packaging. No damage to the sticks. Will continue to shop here. A delicious box-pressed cigar with plenty to offer. Aside from the taste being spot on great, the burn and construction perfectly compliment this beautiful cigar. These are worth smoking anytime of the year. An amazing all around smoke, perfect draw, construction, and burn. Box pressed cigars are usually a preference of mine, so this was a treat. Smooth with hints of coco, this isn't a heavy punch you in the face cigar, its mellow but not really mild. The flavors are good from the beginning until the end. This is definitely a stick that I will stock up on in my humidor. I've smoked these before and enjoyed them. However I just bought a box a few weeks ago and none (() for 13 so far) have burned correctly and it has affected taste. They are stored in a humidor at 70/70 so it isn't me. I'm disappointed. I can see why it is called the coca-cola if cigars. Light smooth creamy with hints of vanilla and coca. Very smooth start to finish. Have with coffee or as a dessert. Very good cigar. 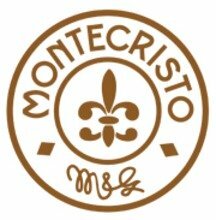 Montecristo is top shelf in the cigar world. A bit pricey but diffinately worth it. I would buy again. Overall this is a great cigar. The flavors where what we have all come to know and love from Montecristo. The box press is a fun twist. Recommend giving it a try. A very nice montecristo cigar. Hints of molasses and nutmeg. These are aged very well. Similar in taste to its cousin the Cuban montecristo. This is one of my go to cigars. Typical of Montecristo quality....very good cigar. Consistent draw. Will buy again. Superb cigar. Great with coffee, but I would have anytime. Would be perfect for special occasions.